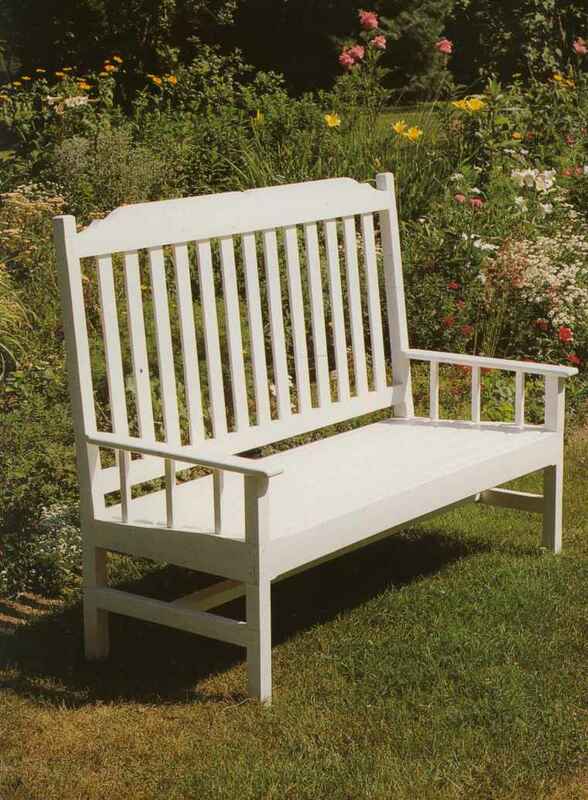 The legs are attached to the side rails with rabbets cut on a table saw fitted with a miter gauge extension and a dado head adjusted to maximum width. 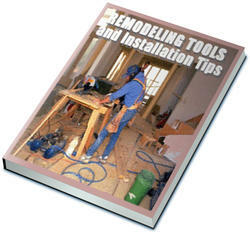 Set the cutting height at one-half the leg thickness and angle the miter gauge to 45°. Position the rip fence for a 3-inch cutting width. 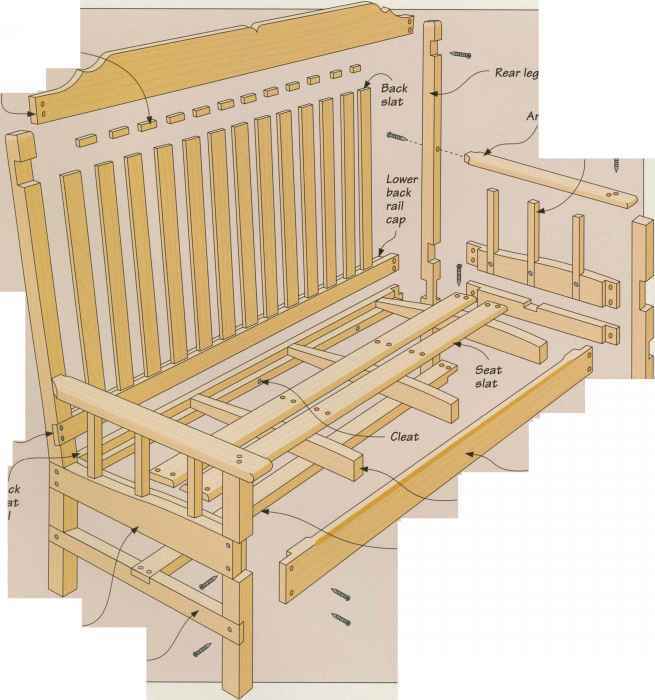 Start by sawing the rabbet shoulder, holding the stock flush against the fence and miter gauge extension. Then make a series of passes to remove the remaining waste (left). 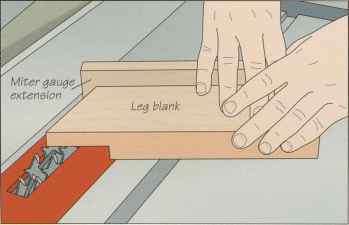 Once all four legs are rabbeted, cut the curve at their bottom ends on your band saw. Keep in mind that the rear legs are 13A inches shorter than the front ones to enable the wheels to contact the ground. Mark an axle hole on one of the rear legs l'/s Inches below the rabbet shoulder. 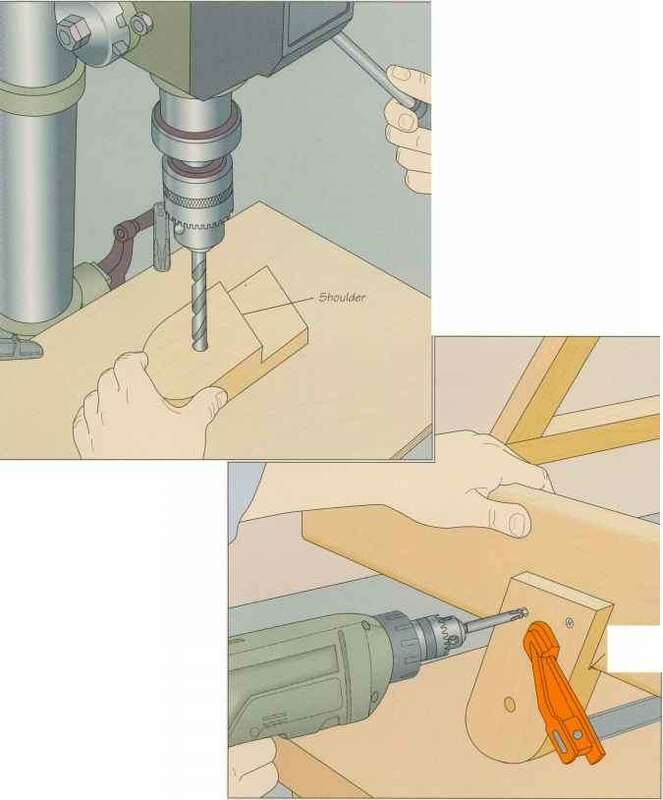 Then, Install a 14-inch bit in your drill press and clamp a backup board to the machine table. Hold the leg very firmly as you drill the hole (left). To ensure that the hole in the leg on the opposite side of the chair will be in exactly the same location, align the two legs face to face and slip a pencil through the hole to mark the position of the hole In the second leg. Drill two clearance holes through the rabbet in each leg and spread glue on the joint. Screw the legs in place 18 inches from the ends of the rails. Drive the screws with the leg clamped in position so the rabbet cheek remains flush against the face of the side rail and the shoulder butts against the bottom edge of the rail (right). Repeat for the front legs. 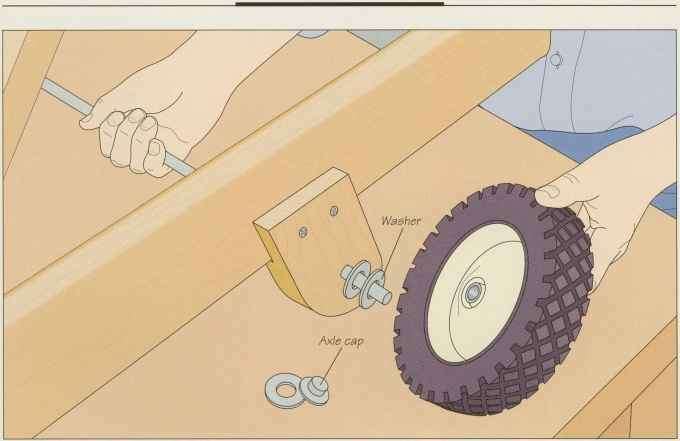 Fit the axle rods through the holes in the legs, then slip a washer and a wheel onto the axle alongside one leg. More than one washer may be necessary to enable the wheel to turn freely (above). Add another washer on the outside of the wheel, then tap on an axle cap until it is snug (left). 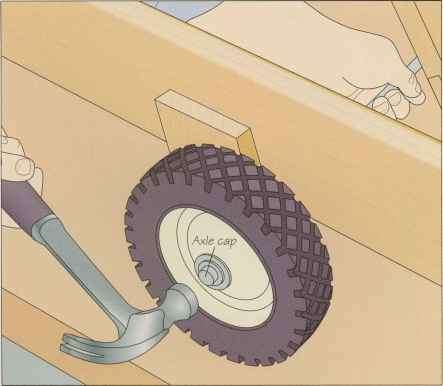 Install the wheel on the opposite side of the chair the same way, but before tapping on the axle cap, cut the rod so it extends Vi inch beyond the wheel. Then install the cap.